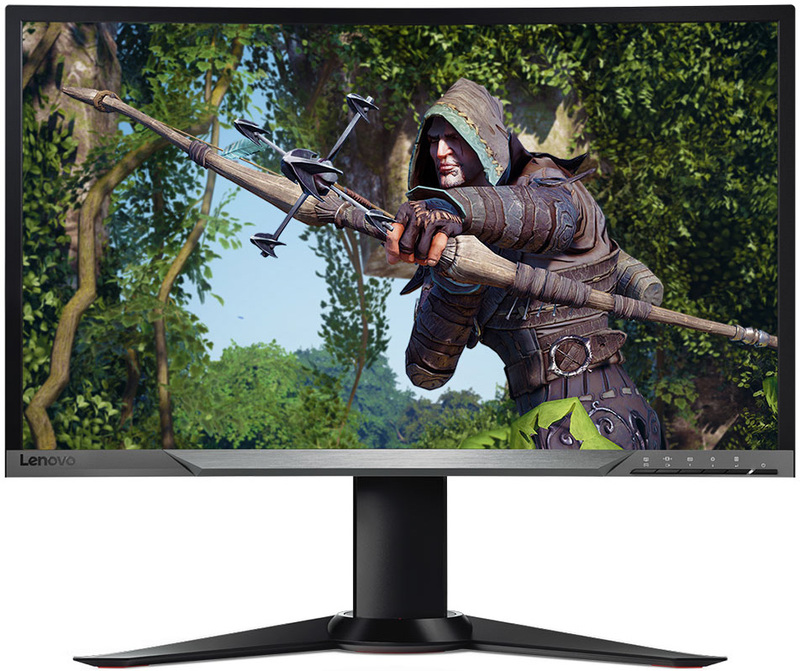 AMD jumped at the opportunity to announce Lenovo’s first FreeSync monitor earlier this month, the Y27f, which also happens to be the 101st FreeSync model released so far. That’s a significant milestone for AMD as it competes with Nvidia and its G-Sync technology, the latter of which came out first. Both technologies aim to deliver a smoother gaming experience by synchronizing the refresh rate between the graphics card and monitor, which virtually eliminates tearing and significantly reduces stuttering. They just go about it in different ways, and unfortunately, they’re two different standards that aren’t compatible with one another. In any event, Lenovo’s Y27f sports a 27-inch curved VA panel with a 1920×1080 display resolution and 144Hz refresh rate. It also features a rated 4ms refresh rate, 3,000:1 contrast ratio, and 178-degree viewing angle (both vertical and horizontal). The Y27f has a built-in USB 3.0 hub, along with HDMI 1.4 and DisplayPort 1.2 connectors. Other features include a Kensington Lock slot, cable management amenities, and a stand that supports tilt, lift ,and swivel adjustments. Lenovo’s Y27f is now available to order direct from Lenovo for $400, though the site says it will take 4-5 weeks to ship. Amazon also has the monitor listed at the same price and it appears to be in stock for immediate shipping.